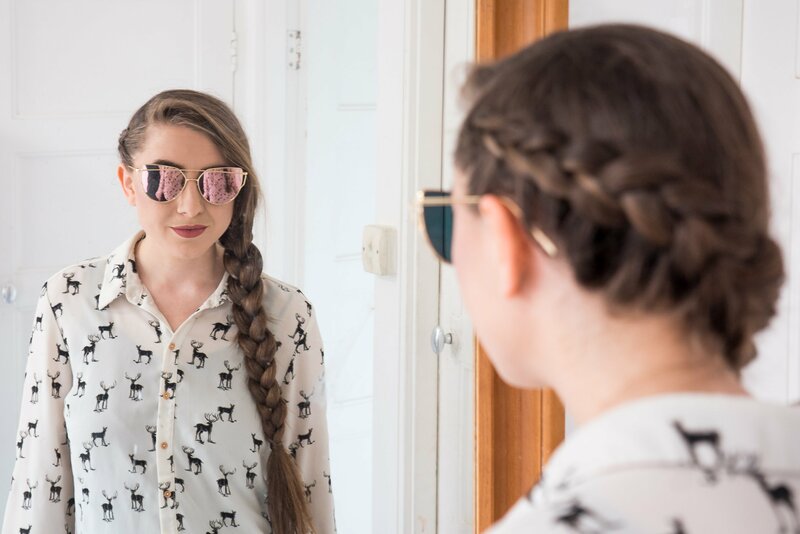 Today’s Ebay Deals – Rose Gold Mirrored Sunglasses – £1.80 from here. With sunglasses I always like buy a few cheap reserve pairs at the beginning of summer that can be my throw away, everyday wear so that it doesn’t matter if they get broken, left behind or accidentally sat on. 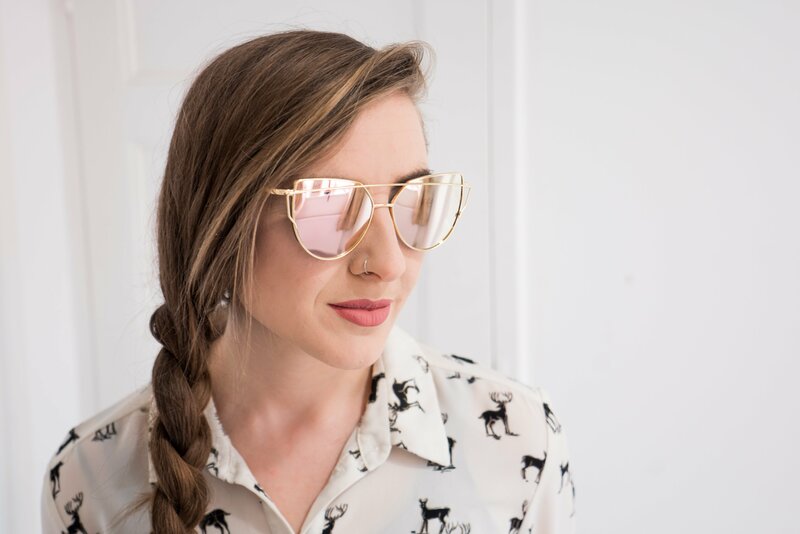 I saw a few Instagrammers with similar Rose Gold Mirrored Sunglasses and when I saw them pop up as a suggested item on Ebay for only £1.80 I knew I would just have to add these gold with pink lens sunglasses straight to my basket. I am never usually very daring with my sunglasses, sticking with black or brown plain shades with no coloured lenses. I’m feeling more adventurous with my Ebay deals and love these cat eye frames. They are fun, pretty, stylish but not too daring. They arrived very quickly and I was more than happy with their quality, for the price. They also only took 11 days to arrive which is fantastic considering they came from China, which can take weeks sometimes. 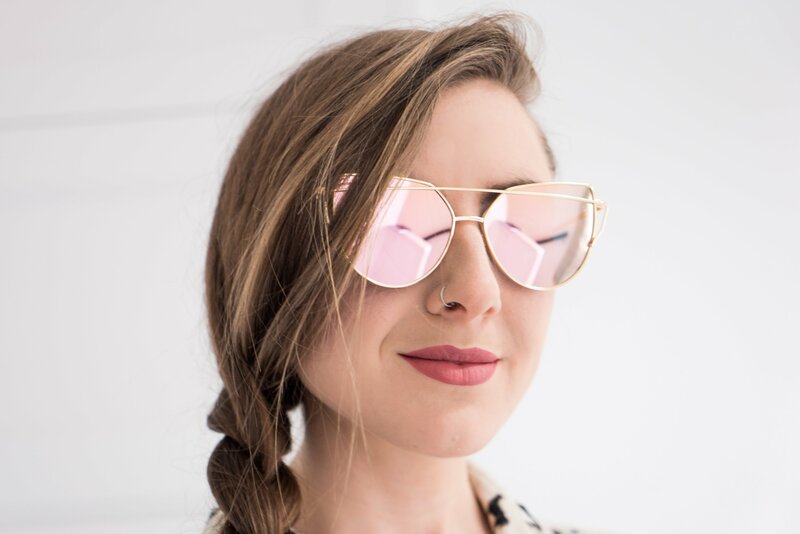 The Rose Gold Mirrored Sunglasses look so perfectly pretty on with pink reflective lenses and the funky, unique frame. The only downside is that they are ever so slightly too large for my head but for £1.80 I really cannot complain at all. 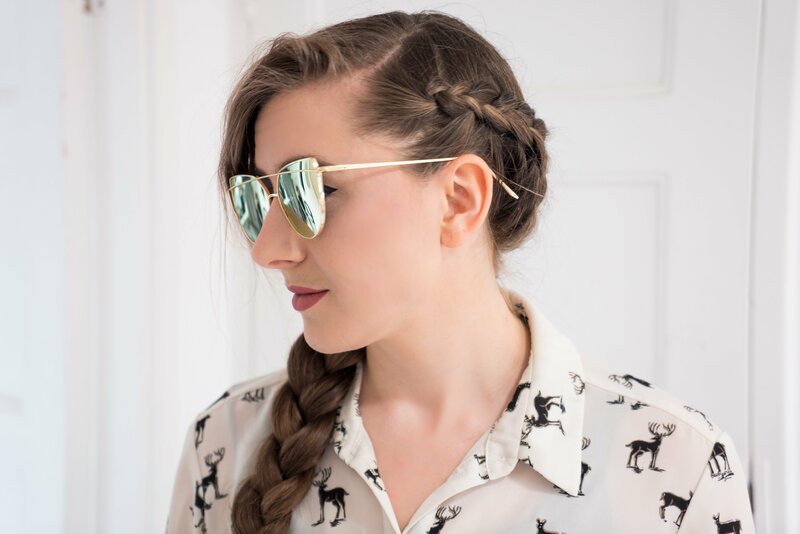 I love the design of these Fashion Cat Eye Sunglasses, they are so unique, cute and a touch retro. 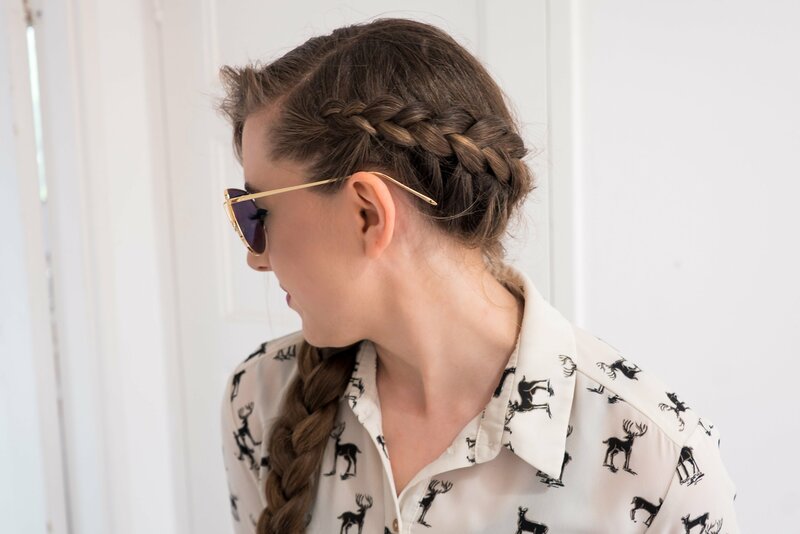 I have been wearing them so much recently, even if we aren’t always having the sunniest weather, but they are awesome and so well priced. 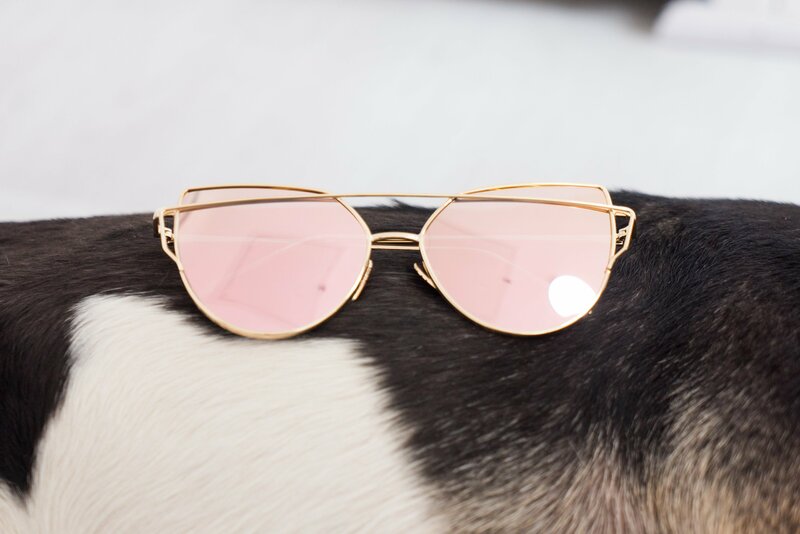 You can find more Ebay Deals posts here and more on sunglasses here. Don’t forget to check out yesterday’s post, Currently Reading Book Club – The Handmaid’s Tale Review. Let me know your thoughts on my new shades!